Winemakers, farmers and seed producers prize Southern Oregon as an agricultural gem with rich soil prized. What is less known, however, is that the region is also home to Rogue Aquaponics, the country’s largest organic aquaponics farm. It is located thirteen miles north of Rogue River and is a widely known enterprise of aquaculturist Michael Hasey and Olivia Hasey, partners in life and business. From fish farming came their super simple retail product, Oregon’s only certified organic (and vegan!) pesto, under the label Simple Superfoods. With an eye on the future of sustainable food production, the pair relocated from San Diego in 2011 to begin their adventure in aquaculture farming. Since then, they have weathered a home fire, welcomed their first child, Dahlia Shea Hasey, and continue to fine tune their business. A successful 2014 Kickstarter campaign provided the community support they needed to enhance the greenhouse insulation for year round growing. “So now”, Ms. Hasey says, “pesto is the part of the farm that completes the sustainable vision. It allows us to have almost zero waste in crop production”. According to Ms. Hasey, her “waste not, want not” philosophy is a foundation of their closed loop system. They raise Tilapia fish, with a life cycle of 6-8 months, in large tanks. Those feed nutrient-rich water to 100 ft. “grow beds” containing thousands of basil and watercress plants, other leafy greens and herbs. 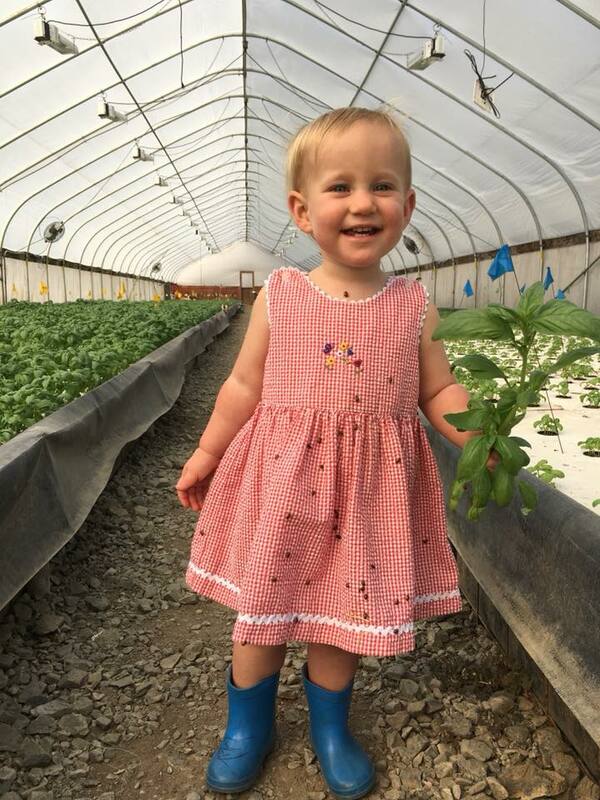 Annual release of 40,000 ladybugs, a natural predator, inside the greenhouses meets the couple’s commitment to a no-pesticide growing environment. This fall, garlic will become the next ingredient to be grown solely on the farm for their pesto line. 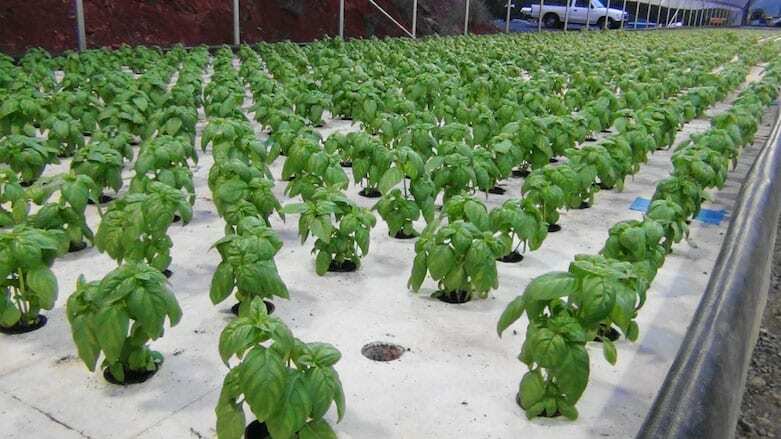 The farm will harvest 3,000 basil plants each week following a six-week growing cycle. As a result, The Hasey’s are now processing plants the same day for maximum freshness. 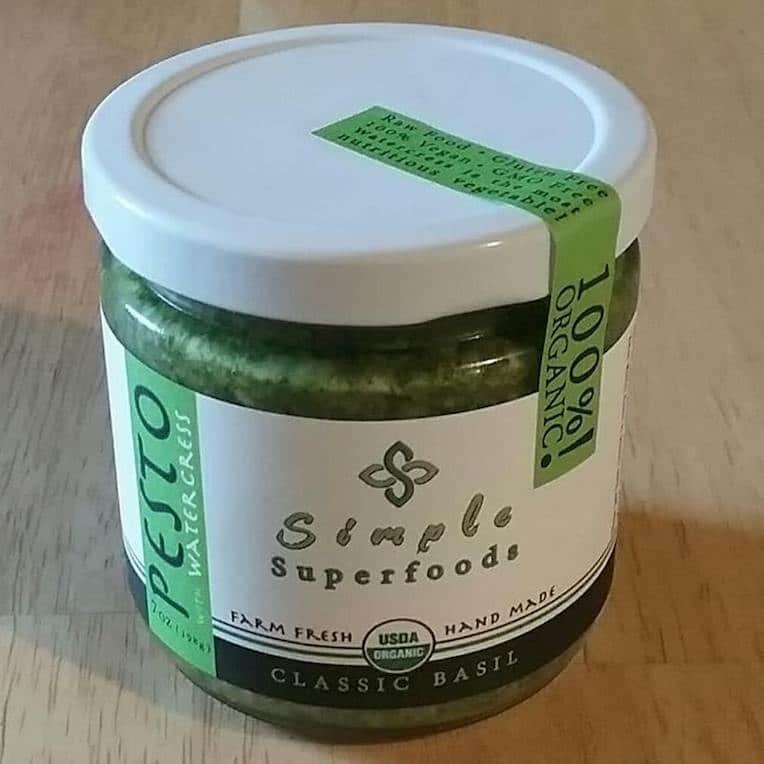 Simple Superfoods Pesto is now a fresh farm-to-jar condiment available at 20 grocery and specialty stores around Oregon and online. Hasey says “the pricing of their organic product matches non-organic pestos”, uncommon in the retail industry. Want some superfood? Get Simple.